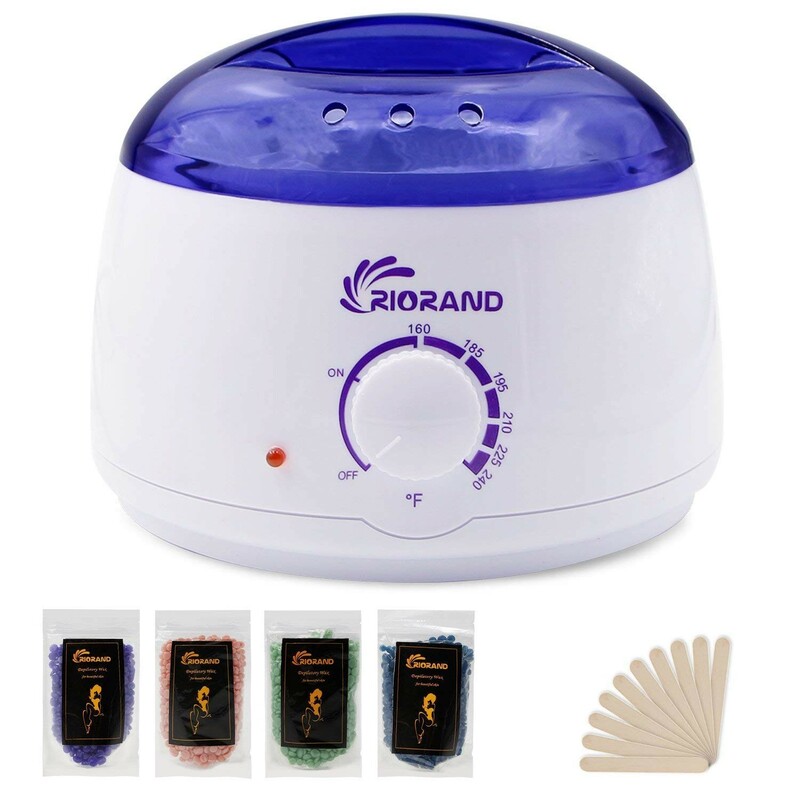 Four Natural Ingredients Wax Beans: Chamomile,Lavender,Tea,Rose.Widely used for multiple parts of your body.This electric wax warmer can remove 98-Percent your body hair. 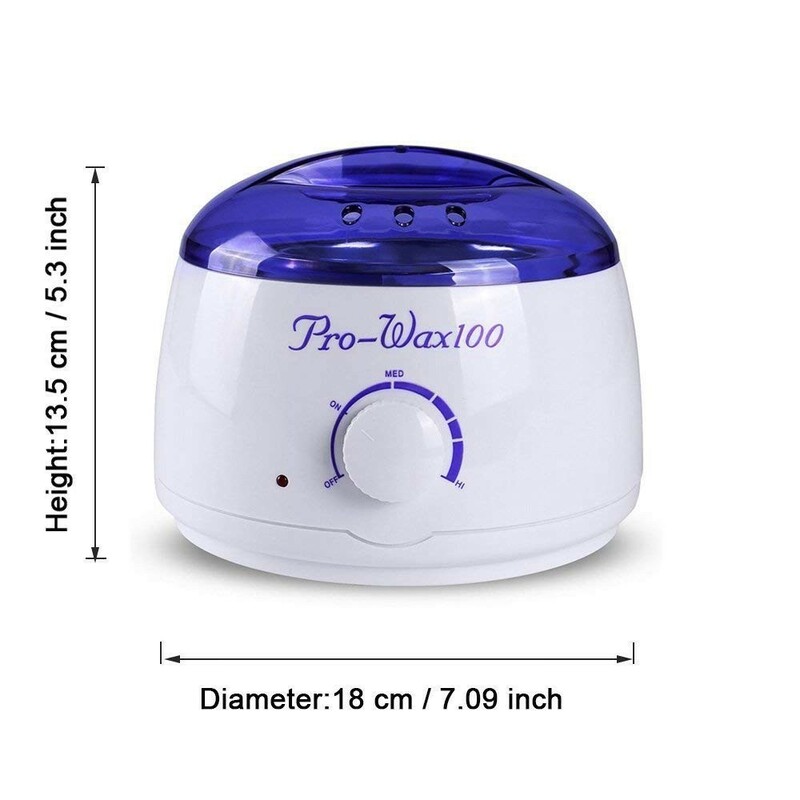 Easy To Operate:Do not need hair removal paper, The wax kit for hair removal is safe to use with the wooden chips . 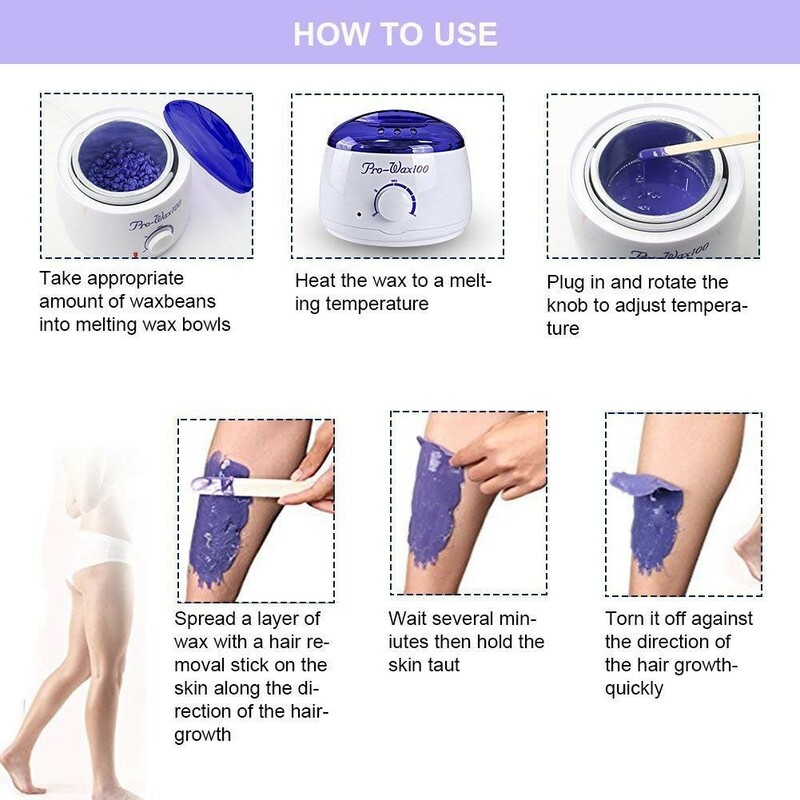 Melt Rapidly:Heating coil for a fast wax melt down,just need short time to melt hard wax beans.You can a depilatory at home by yourself and don’t need to go to salon. 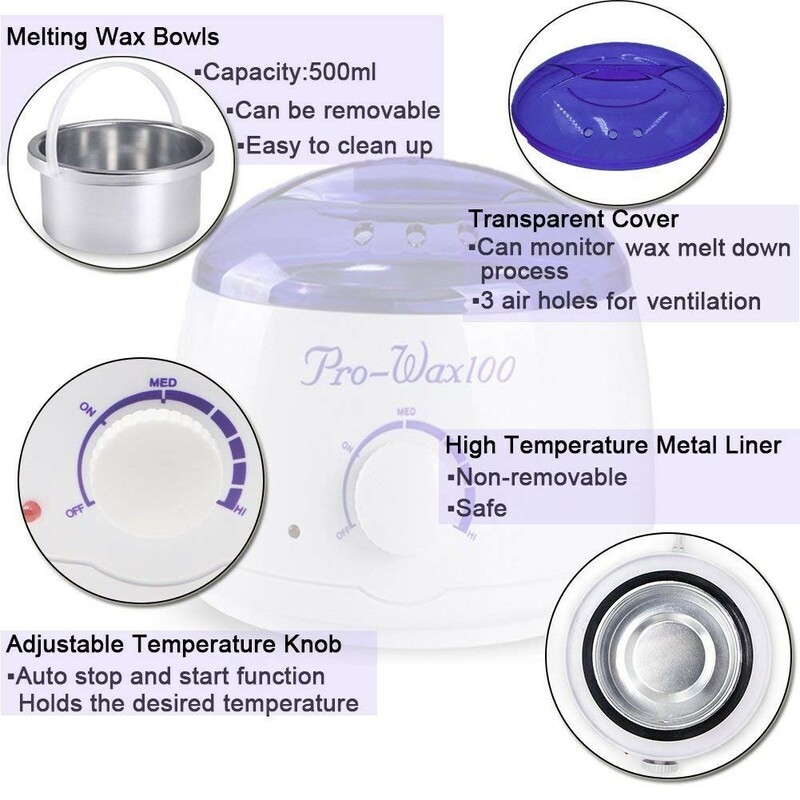 Safe:See-through Cover ,removable wax melting bowl can avoid burning your skin while lifting it.Accelerating the wax melting and preventing the wax contamination by dust.The bucket make the wax easy to clean up without dripping. 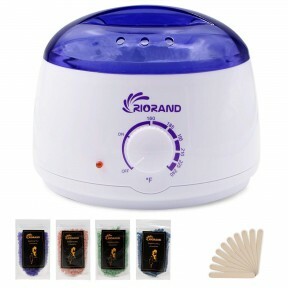 Warranty: RioRand Hair Removal Waxing Kit will be your suitable choice. 30 Days warranty.If you are disappointed with it, we promise return your full refund without hesitation. Pls note that the indicator light goes off and the machine stops working when temperature reaches a certain value.But when the temperature drops, the machine starts working automatically.It's normal. 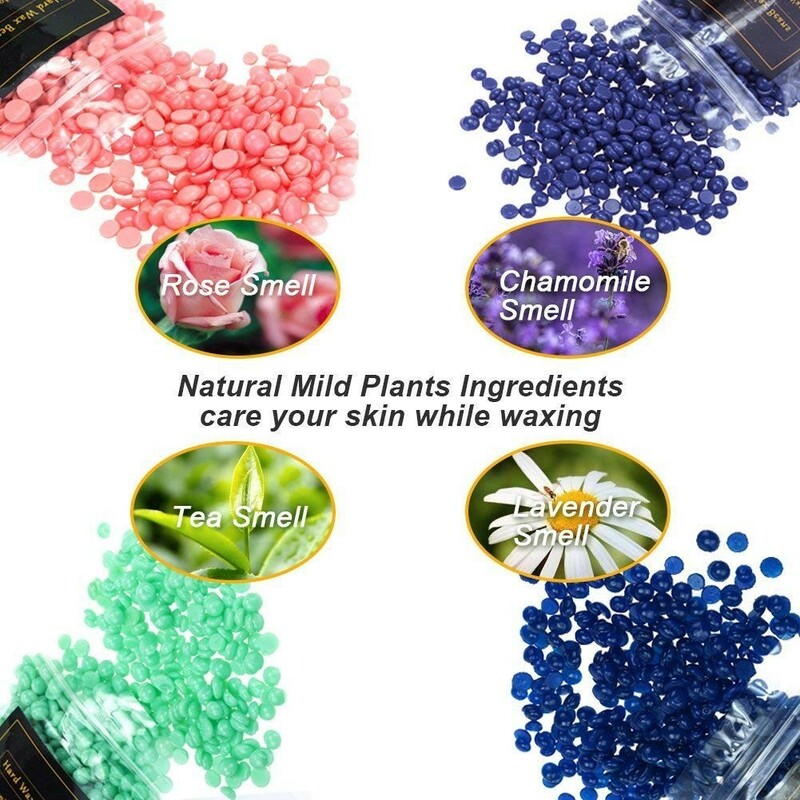 ① Make sure that the wax is not too hot before applying it to skin. ② Test the wax on your arm before using it.Do not use it if your skin suffered any adverse reactions to wax. ③ Do not use it on broken or sensitive skin. ④ Do not use it within 2 hours after taking a shower,or sunbathing. ⑤ If you are taking medicine that affects your skin or you have a skin related disorder,pls consult your doctor before use.